Walking into a drone-fighting pit is much like walking into a boxing ring. The audience looks on as pilots on either side make last-minute preparations, swapping out propellers and tucking in loose cables before the round begins. With a smooth flick of the joysticks, the drones zoom into the air. They sway from left to right, right to left, as if anticipating what the other will do. A moment’s carelessness and one of the warriors is on the ground, its propellers torn and its motors screeching in a futile attempt at liftoff. The winner hovers above, victorious. It's a form of aerial combat that is known among drone fighters as Game of Drones. The rules are straightforward: Each drone starts off with three points. You lose a point every time your drone hits the ground, and the first to reach zero points loses. If both drones collapse, it’s what’s known as a “push,” and in that case neither competitor loses a point. If your drone is unable to fly, you get 90 seconds to fix it before the match is declared over. The sport began in 2013 when a group of robot makers, designers, and engineers got the idea to form a drone fight club. It quickly gained popularity, attracting dozens of people from around the world and eventually morphing into a formal organization called Aerial Sports League (ASL). At first glance, smashing together drones worth a couple of hundred dollars each doesn't seem like the smartest idea. 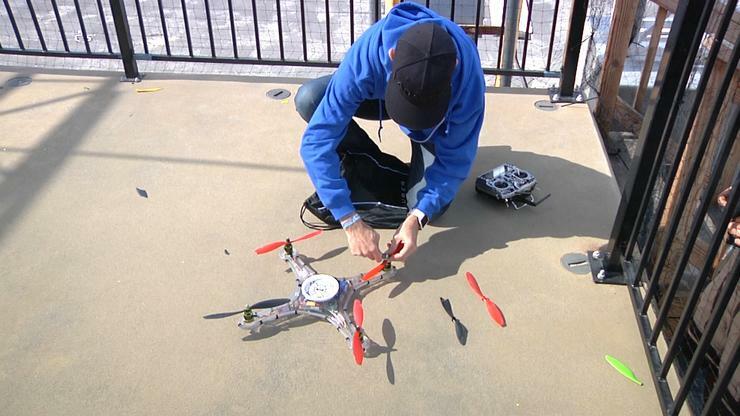 But aside from the plastic propellers, the drones are pretty indestructible. One drone fighter said his had survived a shotgun blast. 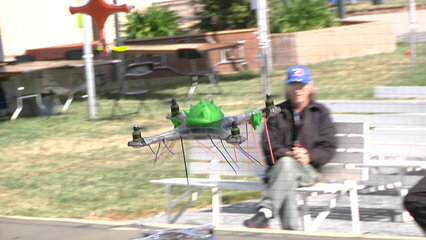 In addition to drone combat, the Aerial Sports League also sponsors many first-person-view drone-racing events.